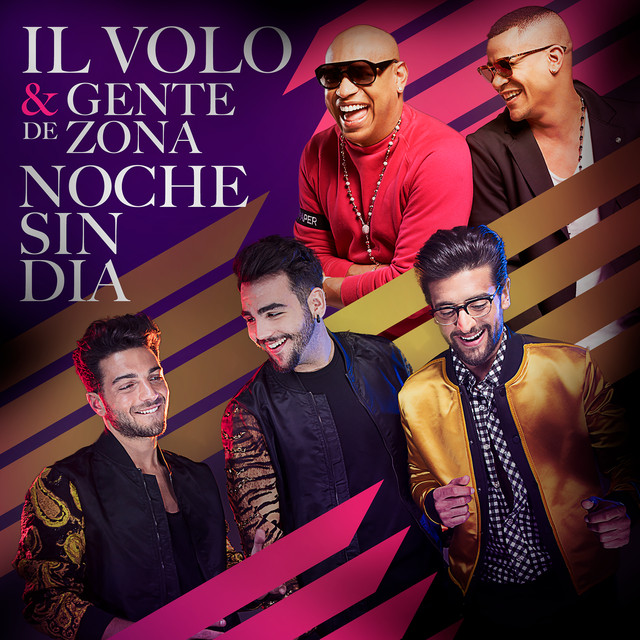 Il Volo’s music as a therapy against a delay in expressive language? It is possible and it really happened. Talking is a young mom. IL VOLO: “THEIR MUSIC HELPED MY BABY.” The testimony of a mother. IL VOLO, the world-renowned pop-lyrical trio, who have had a long history of success, has become the protagonist of a song therapy phenomenon, so-called music therapy. This is a psycho-emotional phenomenon that would help with the aid of music to overcome more or less important pathological events. Tell us how your son discovered the group. M.S. 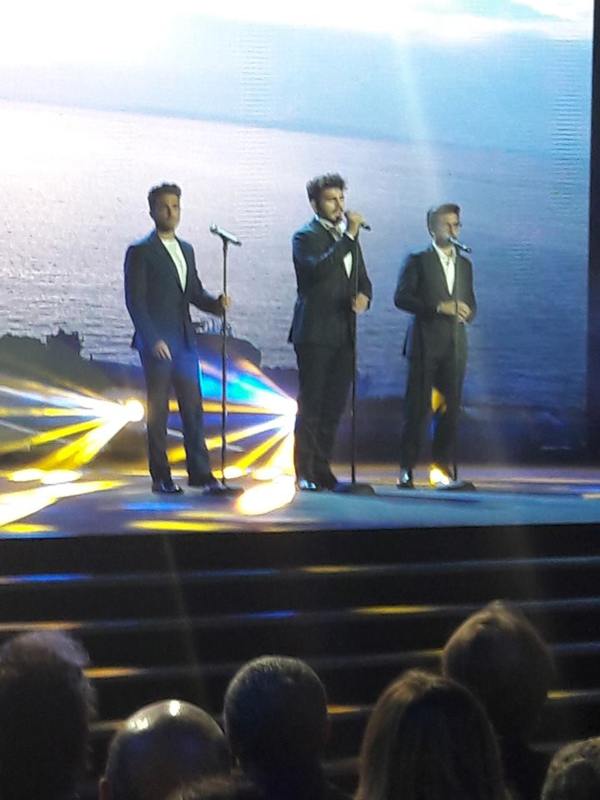 : C.’s story with IL VOLO begins in February, 2015, with Sanremo. He was only 3 years old when he was fascinated by their proud voices. When I bought the CD he listened to it by playing the songs. In the evening he asked me to search the movies and lyrics on the net. He wanted to know everything about those three special guys. So an irrepressible passion for IL VOLO has exploded. Then what happened? M.S: Meanwhile, C. had started logo therapy because of a delay in expressive language that forced him to express himself with a reduced vocabulary and all his own. He did not cooperate and to get it in tune with the therapist I came to an idea: if he had done well and with commitment did the exercises, at the end he could sing the songs of Il Volo. This tactic has produced good results. When did he meet his idols? M.S. : In August, 2015, at a charity dinner held in Roseto, C. met his ‘Laluca’ (so called Gianluca Ginoble). It was the first conquest, when I saw him talk to the singer I was excited, until the day before he had never spoken to strangers. Did he meet the other members of the trio? M.S. : Sure! On August 9, 2015, we were at the Chieti concert. We go in and C. sings all the songs, sees the boys and wants to greet them, but I do not know how to do it. He attracts the attention of a Gianluca companion who kindly takes us to the gates. The gates are closed and security does not allow them to go further. The little boy weeps and shouts. Piero hears the child cry and says to security, ” Let that baby and mom pass.” Ciro holds him tight and he also looks at Gianluca. Unfortunately with Ignazio Boschetto, there was no meeting. Since then did you start to see improvements? M.S. : Yes, that’s right. The new CD is released and C. is more and more enthusiastic, and then a book on the trio is released. Every night I had to tell him a story about the boys adventures. Meanwhile, C. had achieved steady progress. M.S. : Of course, because I saw my baby happy and benefited. C., thanks to the music of Il Volo, has made giant footsteps. He began studying singing (he was enrolled in a singing school) and as a song (for admission to the school) he performed PER TE CI SARO. IL VOLO is now part of your child’s everyday life, which has identified almost a model to follow in them. M.S. : Exactly. Even when he notices that someone behaves badly, he blames him and advises him to listen to their music, because he will do so well, because they are the best. To what extent is your child’s therapy today? M.S. : He’s still doing therapy. The road is long, but today it is unrecognizable for the improvements he has made. I can only do thanks to my doctors and my family, Piero, Ignazio and Gianluca who unknowingly helped my child with their GRANDE AMORE. Previously published on zon.it, and translated by Daniela. Credit to owner of photo. Previous PostFilm Press Conference Un Amore Cosi Grande ~ by DanielaNext PostNeed The Name of That Plumber…Please! What an awesome article that is but isn’t this an example of why we love Il Volo so it’s not just that they sing sing so incredibly it’s t the kind of kind caring compassionate people they are. And I never forget that fact. I love them all. Thanks God for them. As I have said before GOD has sent these beautiful young men into our lives for a reason. Not only to bring life to our lives with their beautiful voices but to help us with whatever is happening in out lives to heal & sooth our problems. God bless them & I am always thanking God daily that they came into mine & continue daily to ask God to protect them wherever they are travelling to. This is such a sweet, inspirational story. Our guys have received accolades for so many reasons and now this can be added to the impressive list! I agree with you, Allene…turn on one of their CD’s and all is right in my world again. Well put! Wonderful story. The boys are surely responsible for so much pleasure and happiness. For anybody in the following areas the Spotlight cinemas are doing a special evening screening of Notte Magica on November 15th. at 7.00 p m. It will be shown in their cinemas at Chapel Hill N.C, Coconut Creek, (Promenade) Fl. and Naples Fl. Anybody interested contact their Spotlight cinema. I hope you enjoy. A very heartwarming story. Even though they don’t know it, Il Volo has gotten me through some rough spots these past few years, I can’t thank them enough. At the time of Chieti’s concert, I remembered reading the comments of a mother who desperately sought a place in front row because she wanted her baby to see closely Piero Ignazio and Gianluca saying that for him was very important and this mother was very unsatisfied because when they sold the tickets, those places were already acquired. When I read this article just over a month ago, I remembered the whole story and I thought about translating it and passing it to Jane to make it known to all the crew, thinking how many times in your comments you have had sweet words for IL VOLO that with their music helped you overcome difficult moments. Thanks Antonella Esposito for interviewing this mother and writing this article. Girls what I have done for the last few hours is go back in time to when our new site was just an idea in Kelly’s & Michele’s thoughts when the old site was shut down & were hesitant starting a new site & if we would stay with them. So I have been looking at the dates August 9th, 11th,12th, 14th & Il Volo Mundo 2014. What treasures to see now & reminis. There was so much to see that I forgot. Michelle is gone but Kelly is still here & working just as hard & successful as before & I cannot stop congradulating her for the success this blog is. As I have always said this site is the BEST than any other site. Also I will not forget Marie because she works right along beside her as well as Jane, Jana & other girls who pitch in when needed & Daniela who translates for us. Without her I would be completely in the dark. If I have forgotten anyone please forgive me my memory isn’t as good as it used to be. Girls your stories, pictures & uptodated information on our precious treasures Il Volo is commendable. You have your fingers on the spot & ears to the world & I am honoured to be a small blob on this site to receive all this information that is given to us free. God bless all of you & I will continue to enjoy our gift. As I apppoach my 89th year, I can only say that the boys have given me a reason to live. I have a photo of them taken in Las Vegas . I look at it every day to start my journey. Thank God for them and all of our crew. 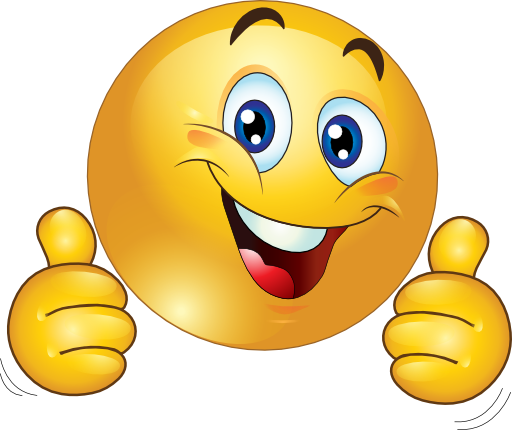 Joan, I am so happy you have Il Volo in your life. My 90 year old mother loved them, too. They have changed so many lives for the better. I thank God for them and all of this crew as well!! What a beautiful story. Thank you, Jane. However, this is not surprising to all who read here. We all know what is possible with the Boys music. We have always said they are magical. This interview is merely more proof. Marie, do you know that I’m back in the old post and I go down to the comments to see if there’s yours too? It makes me very happy to read your comment. The article, the picture, each response… The steady appreciation, love and support for Il Volo among you. Thank you, Il Volo Flight Crew, for tending to the care of this lovely, public garden which you created for the support and admiration of three rare and beautiful flowers. Laura, what beautiful words you used !